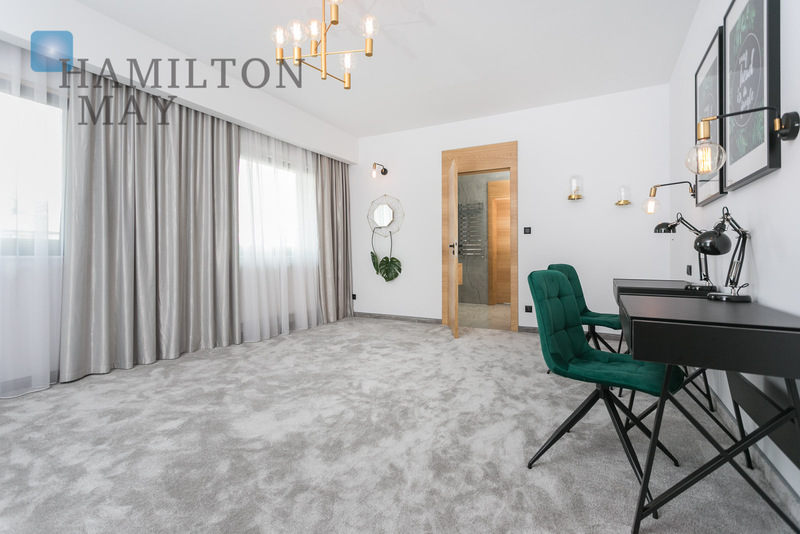 Hamilton May is pleased to present a luxurious, spacious house, finished to a very high standard, offered for sale in Bronowice. 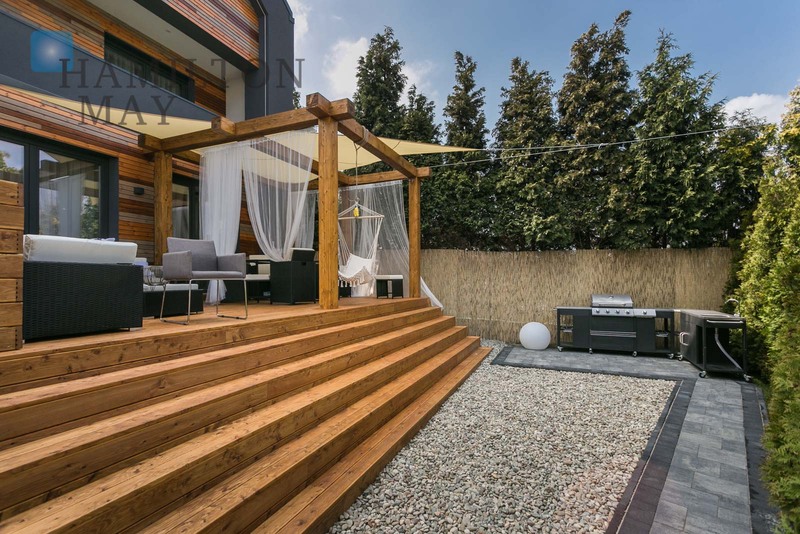 The presented detached house has 411m2 of usable area. 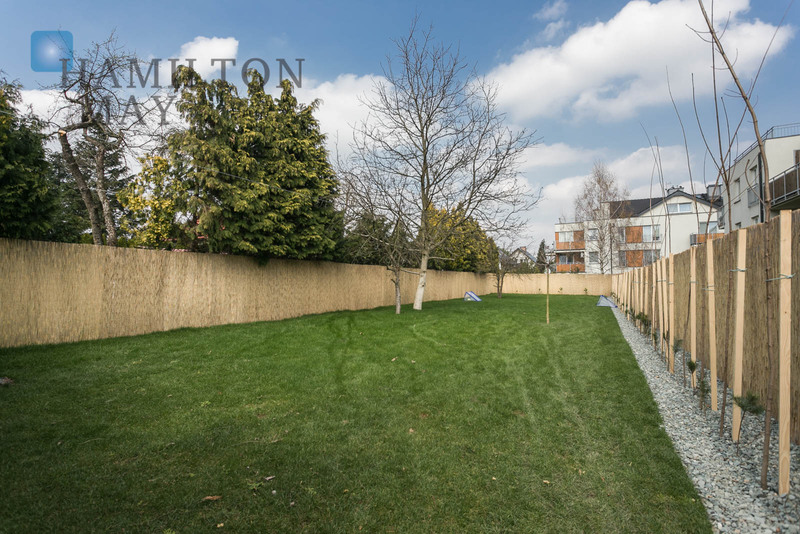 It is located on a beautifully landscaped plot of 11 ares. 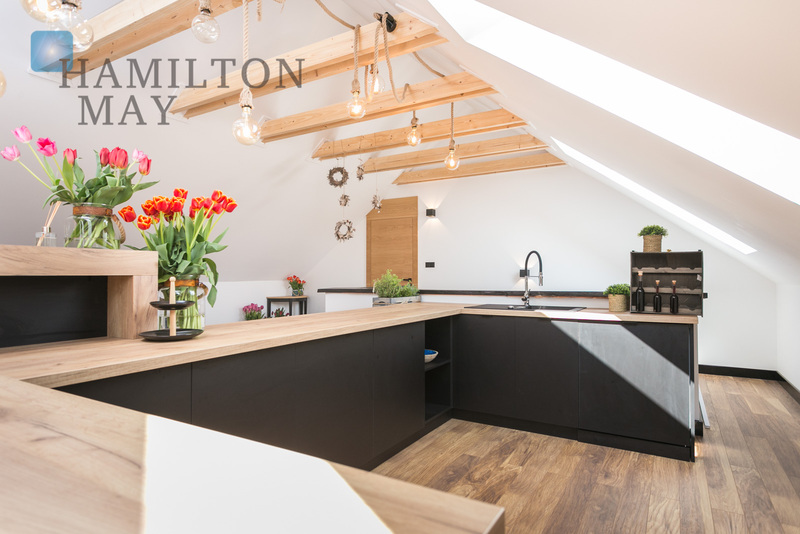 The property's ground floor holds a spacious living room with an open, fully equipped kitchen, dining area and pantry, as well as a bedroom with a bathroom and dressing room, toilet, study, hall with a wardrobe and terrace leading further to the garden. 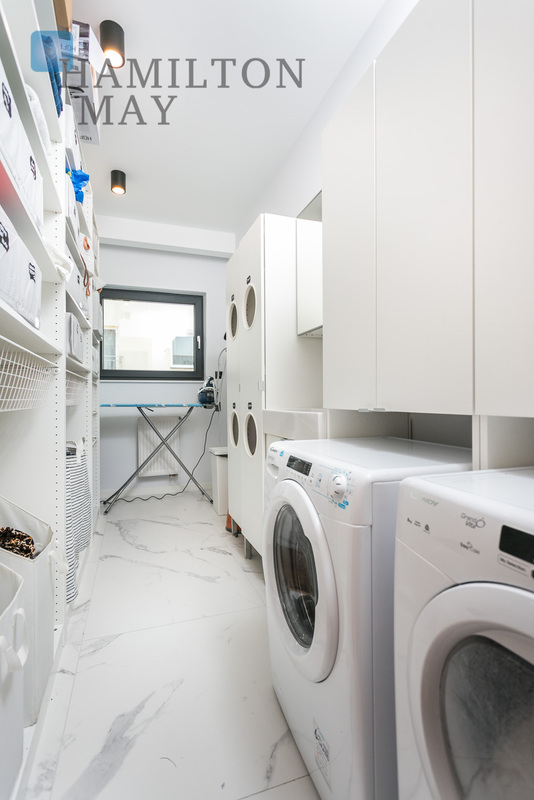 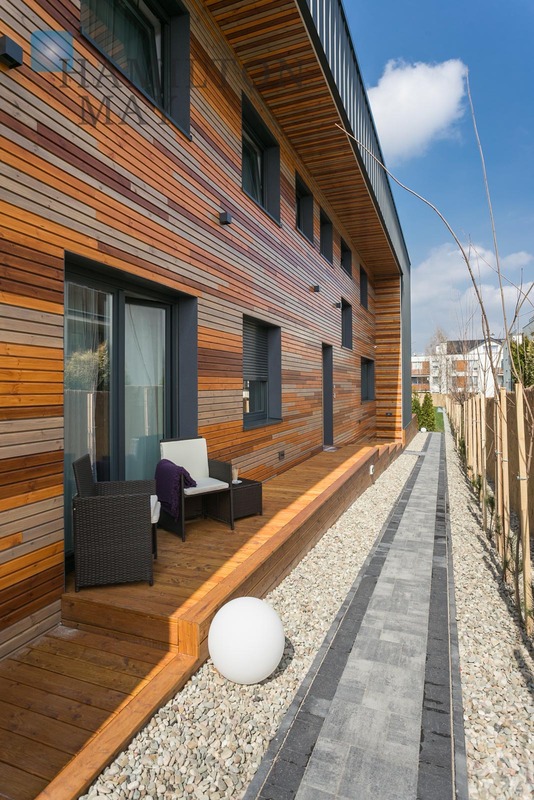 The upper floor holds 3 bedrooms with a bathroom and dressing room, along with a laundry room, utility room, large terrace and balcony. 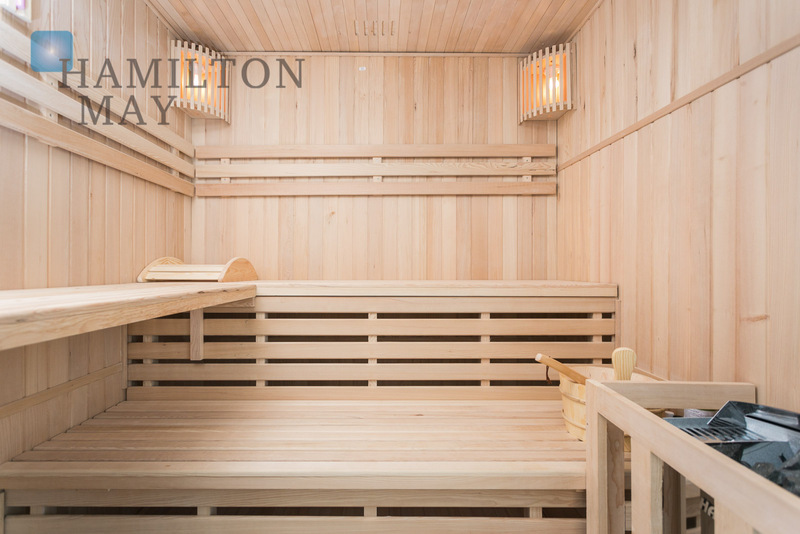 The top floor holds the property's relaxation zone comprising: huge recreational area with a kitchen annex and a bar, as well as a bathing room with a sauna and jacuzzi bathtub. 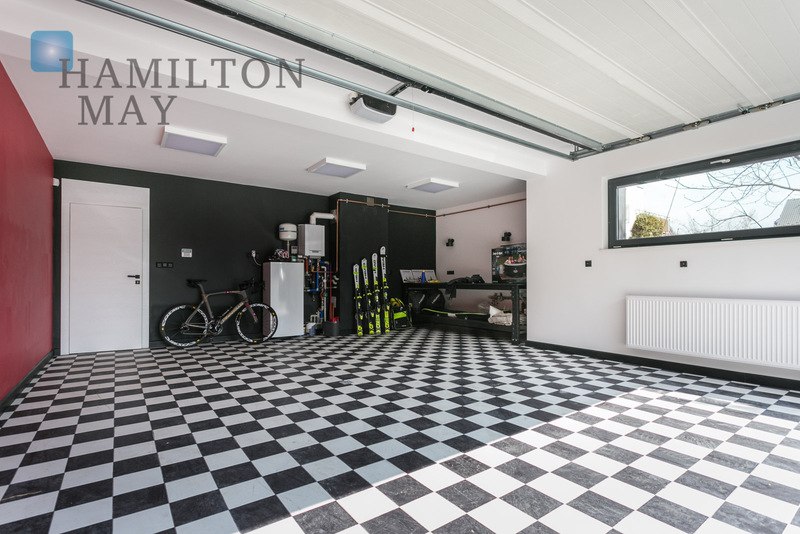 In addition, the property comes fitted with a large garage for two cars. 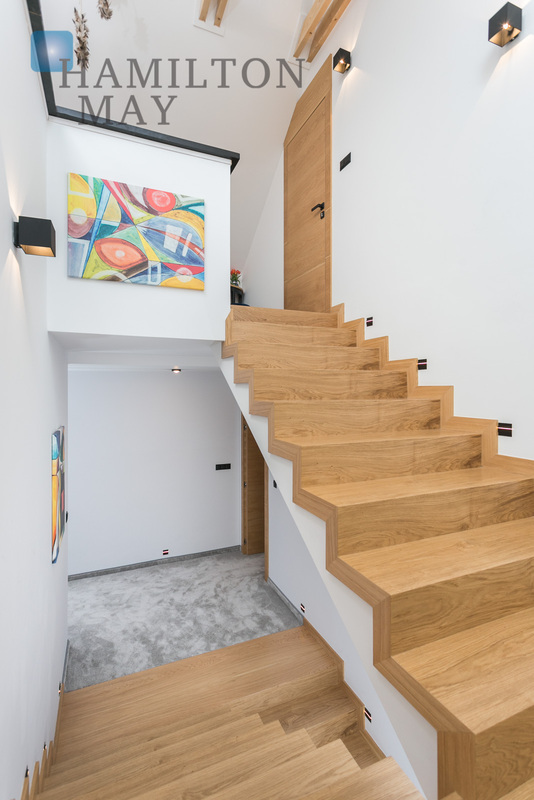 The house has been modernly finished to a good standard, with attention to every detail. 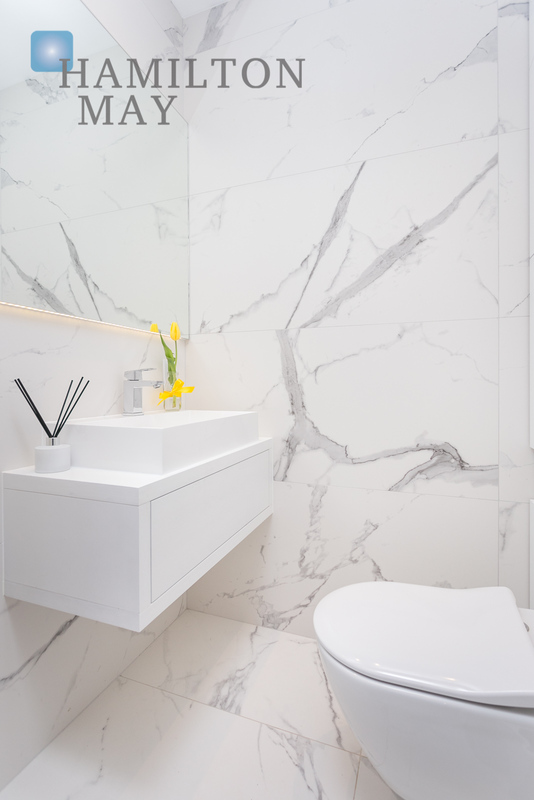 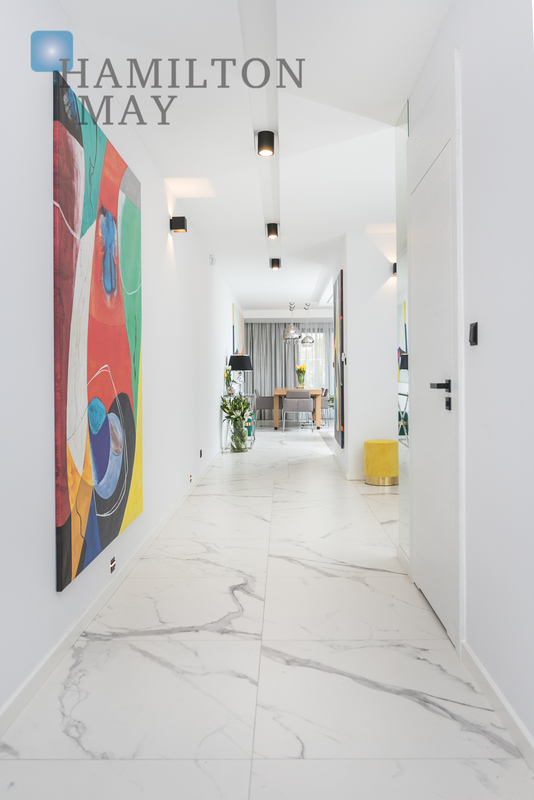 The house was developed in hears 2016-2018 with high quality materials. 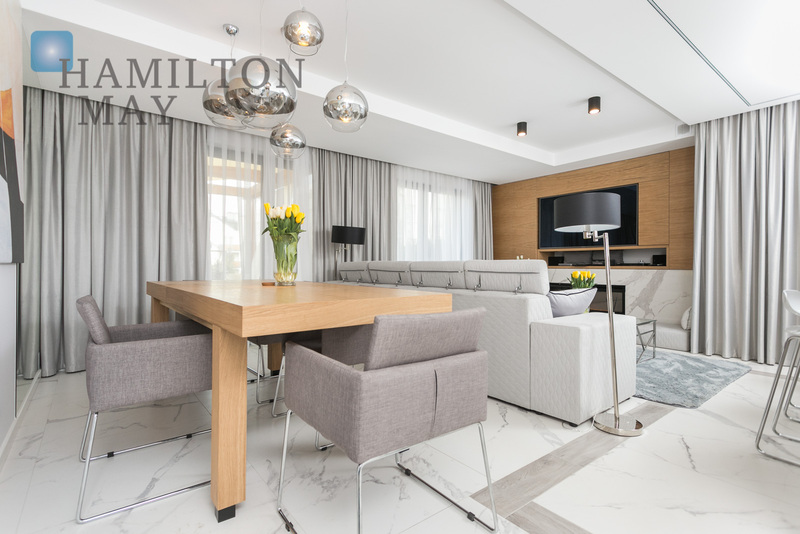 It is located in a quiet and peaceful area. 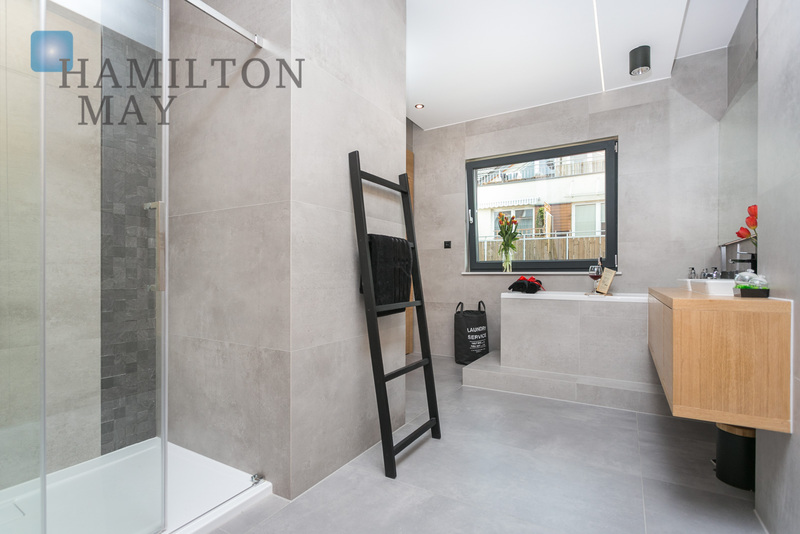 It has a very original facade and comes with an abundance of conveniences, including underfloor heating, alarm, monitoring, access control and video intercom. 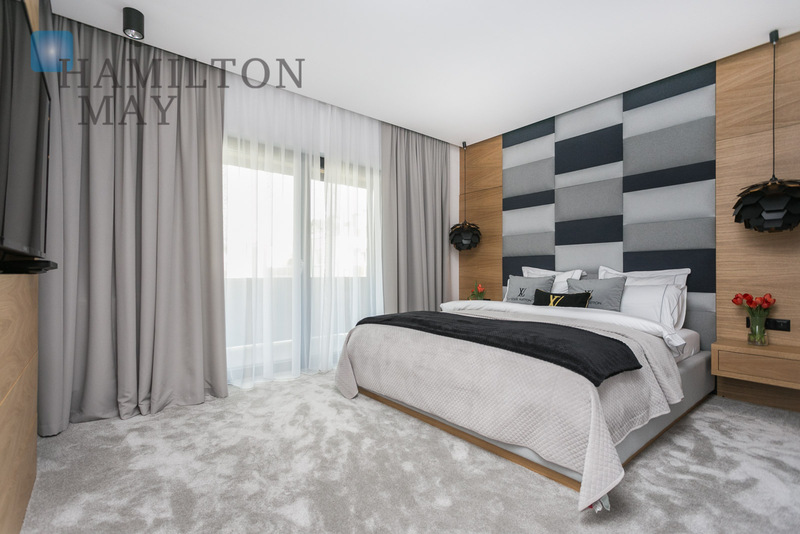 The project is extremely well arranged, both functionally and visually. 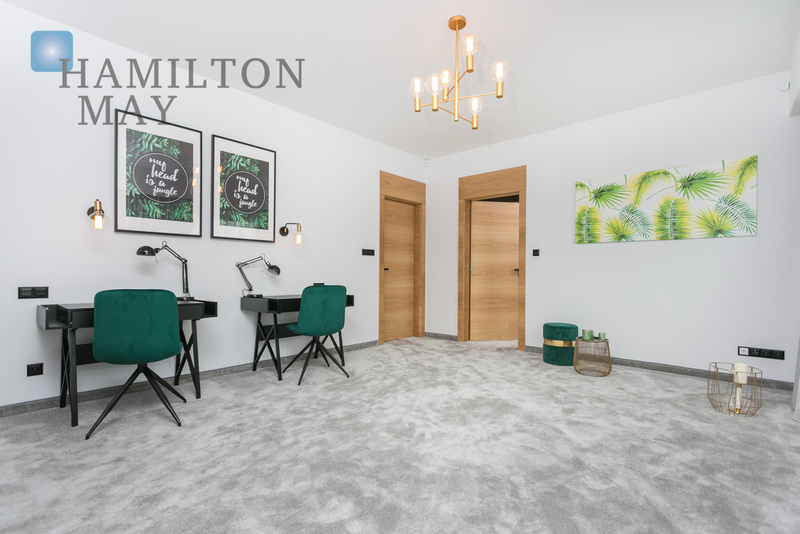 Its additional advantages include a large garden and a beautifully landscaped recreational area with dedicated barbecue and a sitting areas. 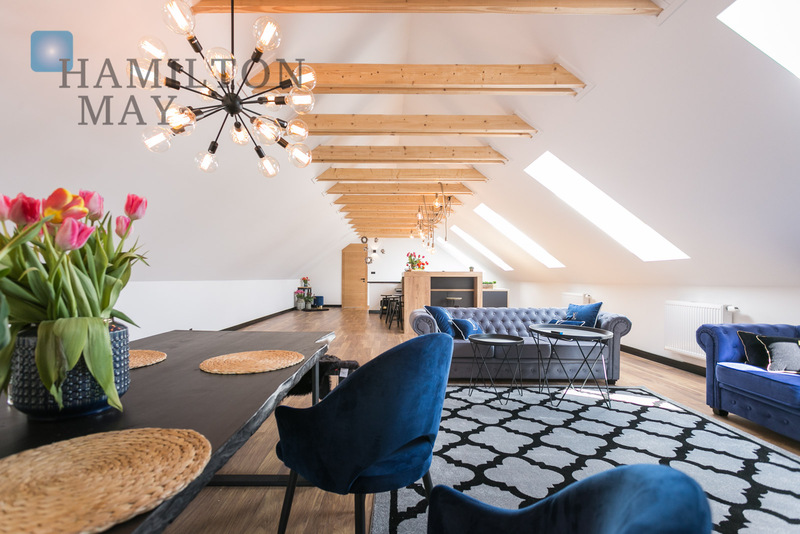 Bronowice offers superb access to just any other part of the city. 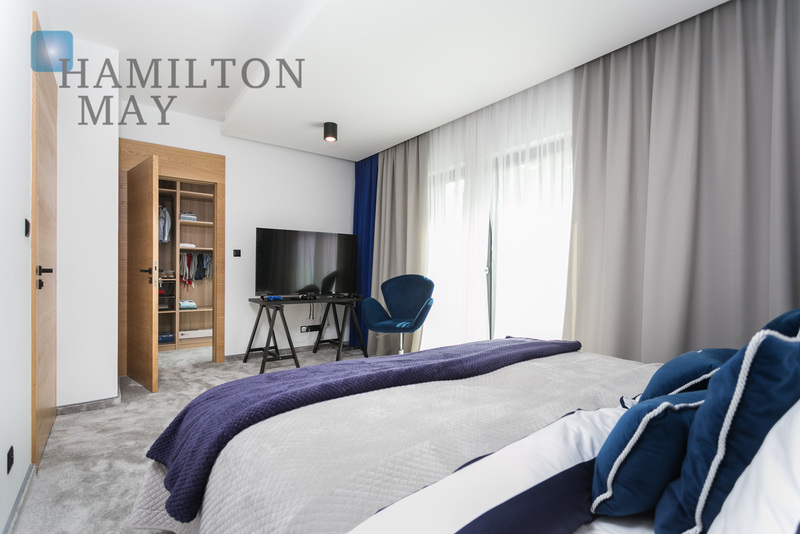 The highway, as well as the city ring-road are both just 3km away. 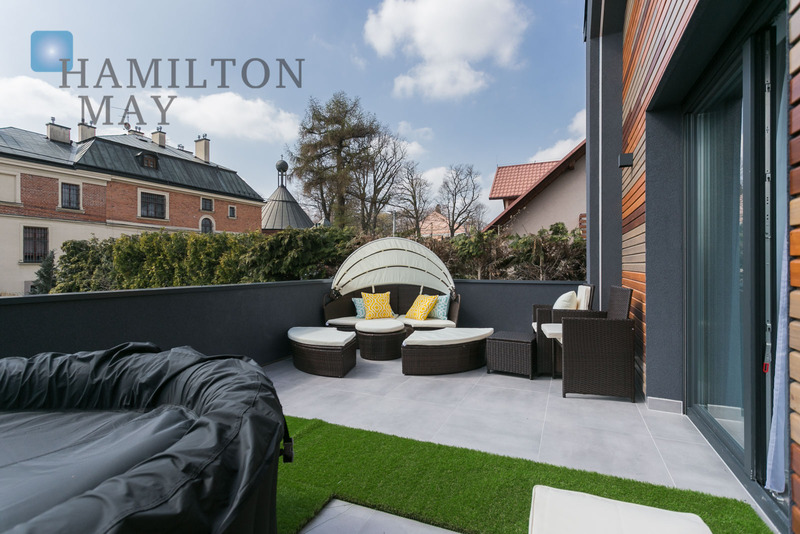 Numerous communication routes allow you to quickly reach the center of Krakow. 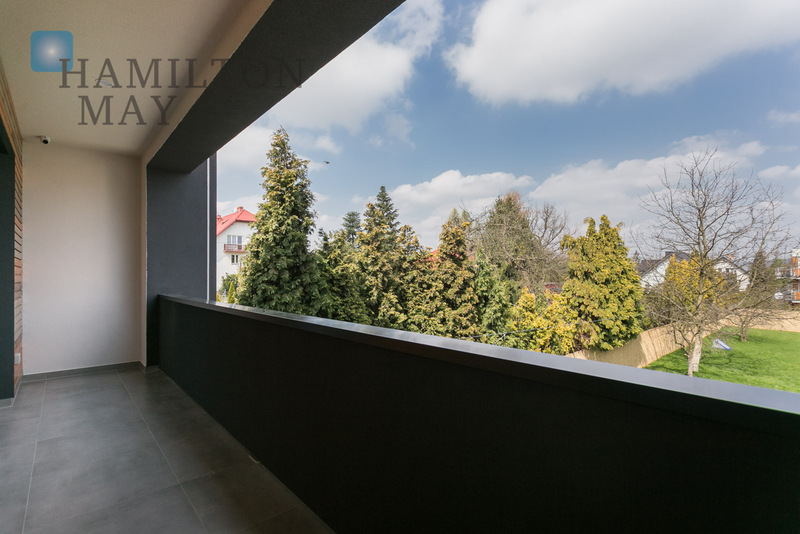 The development is also situated right by the Galeria Bronowice shopping center and IKEA. 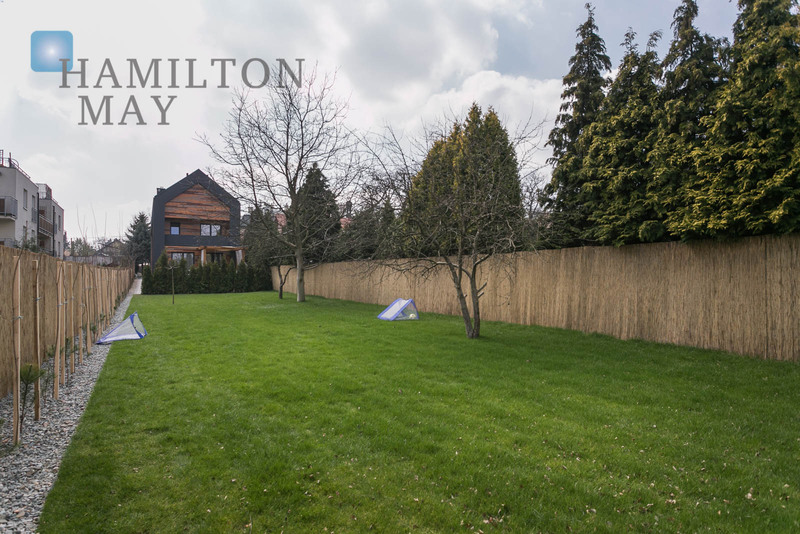 Finally, many green areas are located within the walking distance from the property. 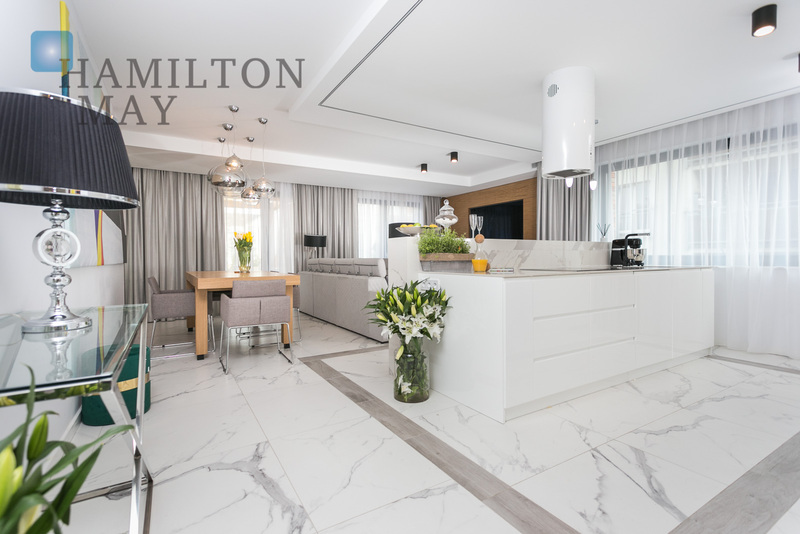 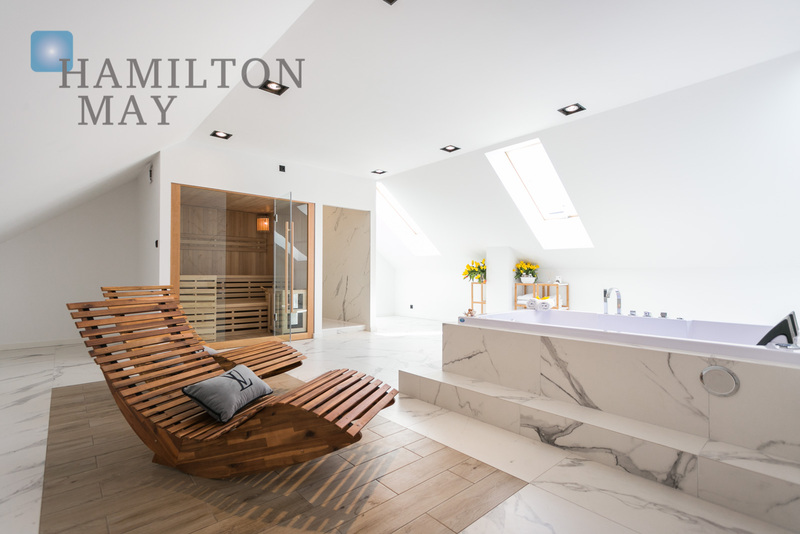 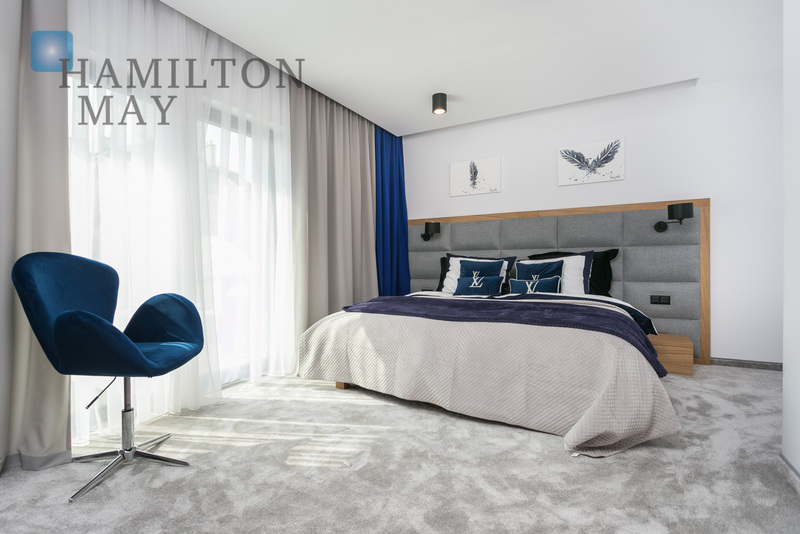 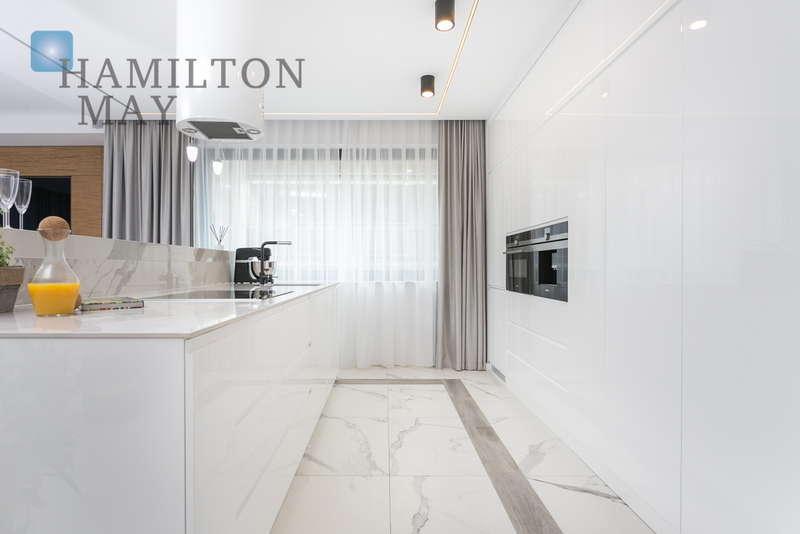 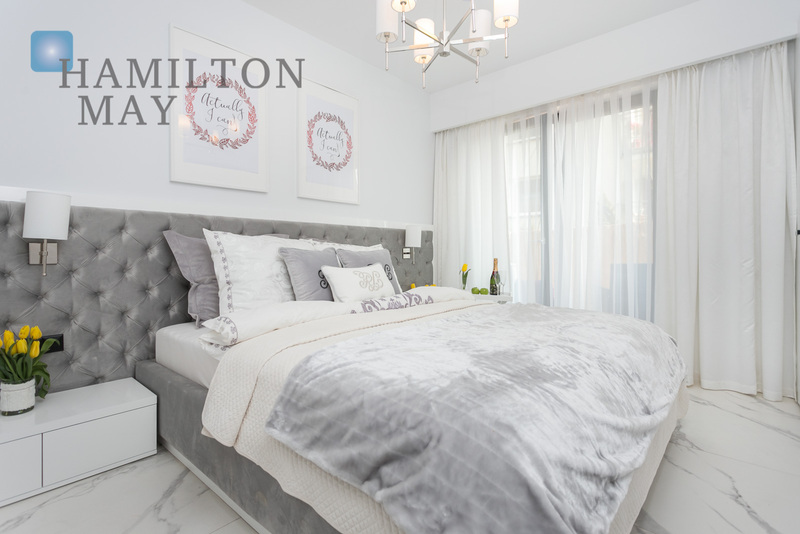 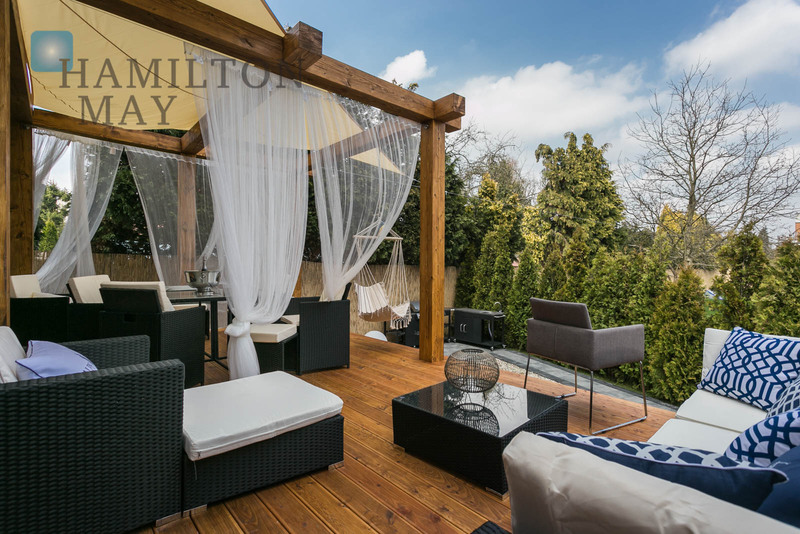 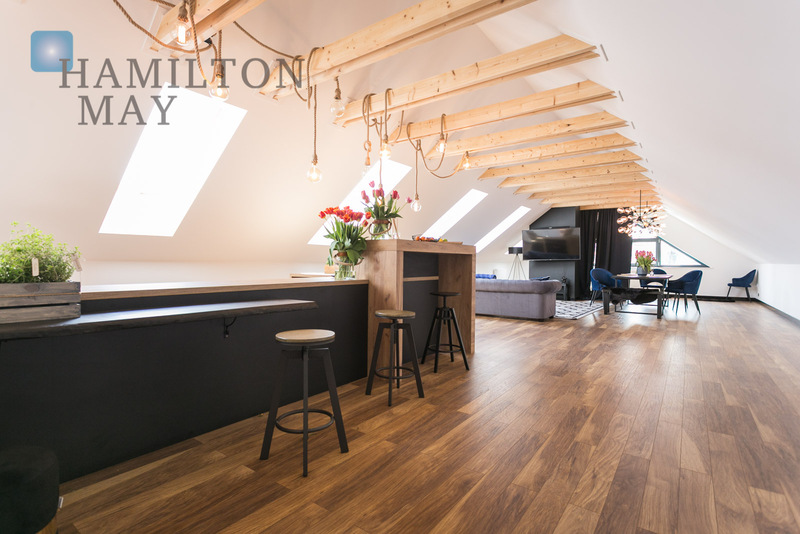 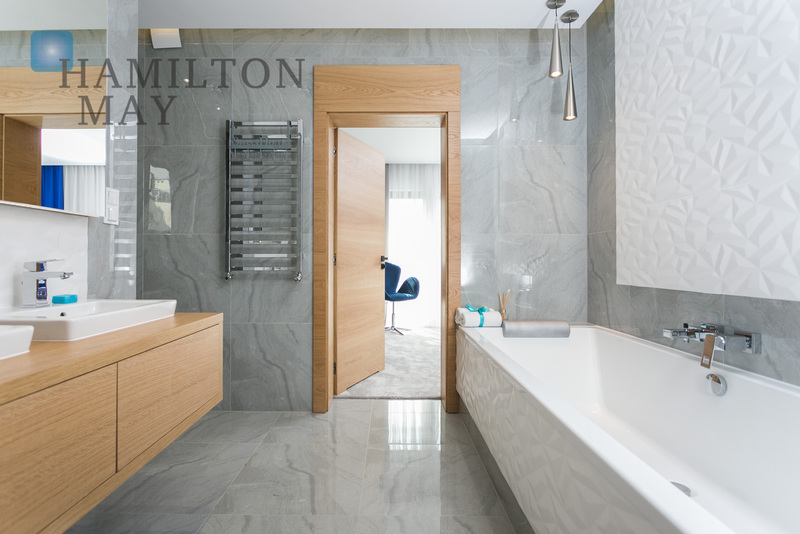 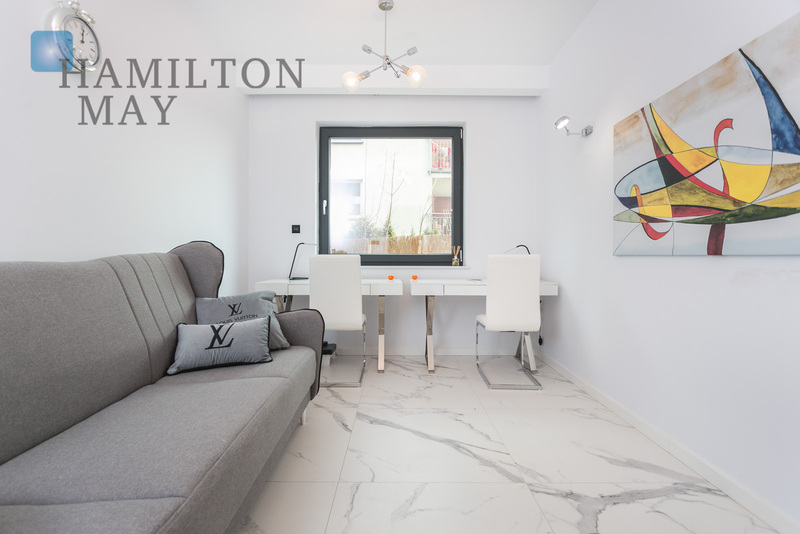 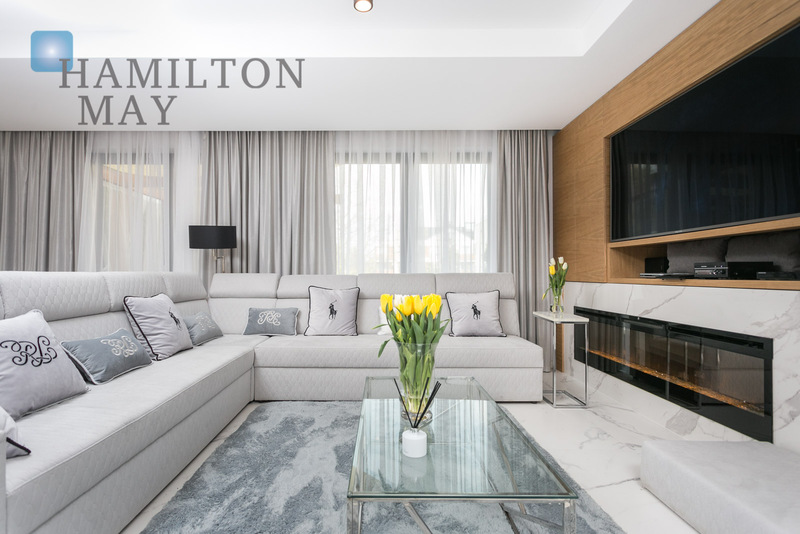 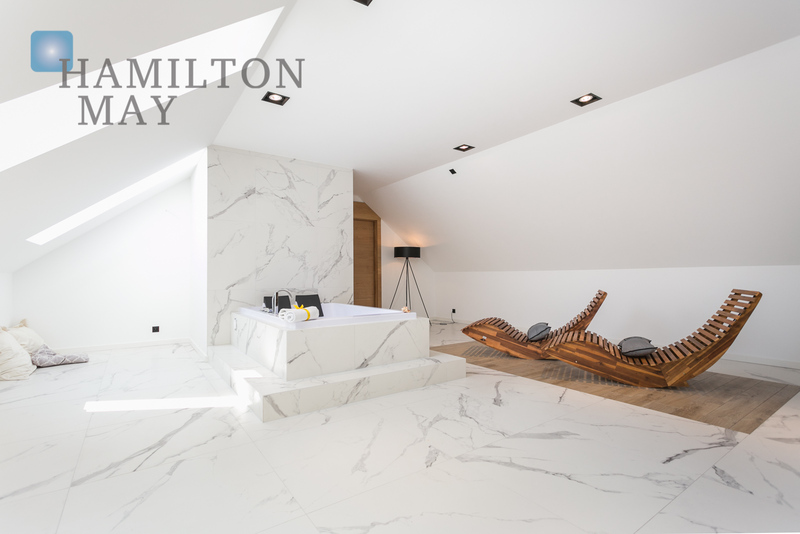 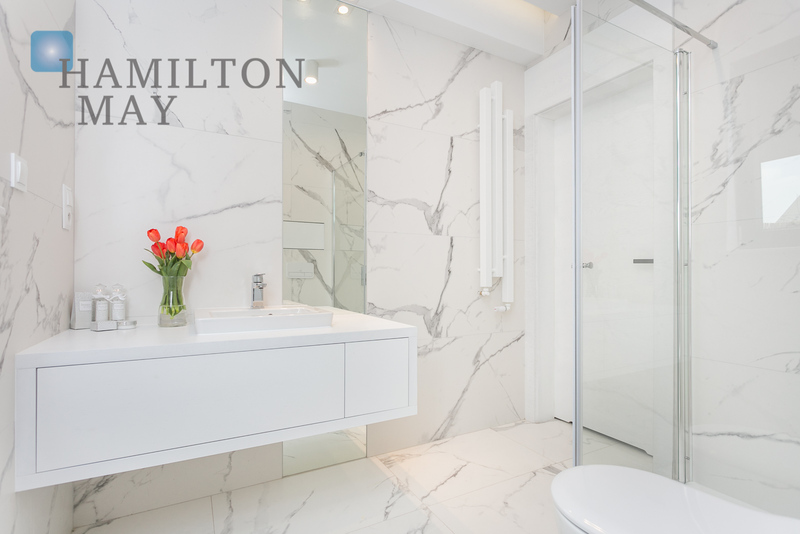 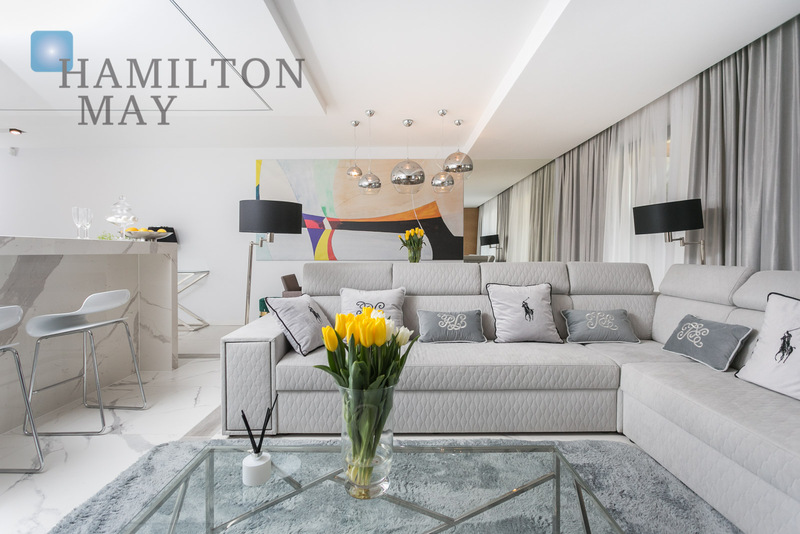 Hamilton May invites you to visit our offices and obtain more detailed information or arrange a viewing.